Reclaimed wood has become quite the buzzword in recent years, and its popularity seems only to increase. 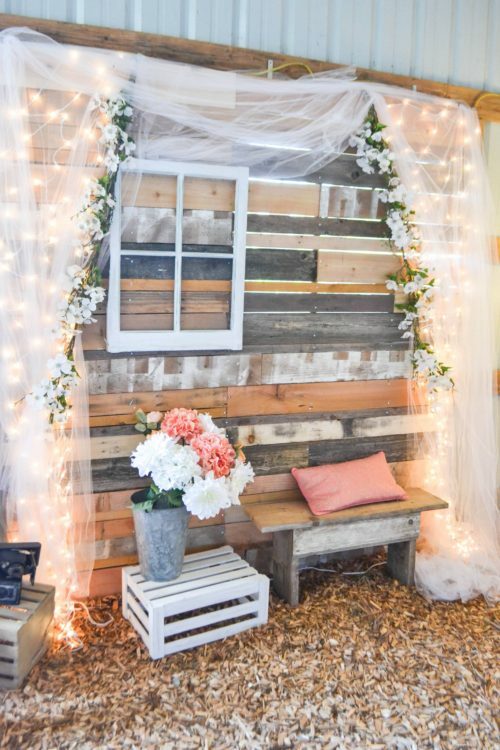 From pallet projects to farmhouse tables to shiplap galore, recycled wood is everywhere. It is easy to see why. Salvaged wood is a beautiful material for furniture, walls, flooring, decor, and so many other places. It warms a home and each piece is wonderfully unique. Unlike newly milled lumber, each piece of reclaimed wood has a past and a story that is etched into it like the faces of individual people. But what is reclaimed wood? Broadly speaking, reclaimed wood is any wood that has been salvaged and recycled. There is a lovely environmental factor in that it keeps material from the landfill. Reclaimed wood comes in so many forms and has so much variation even within those forms, that it is a really exciting way to create just about anything. Over the next few posts here I want to share with you some sources for reclaimed wood, some ideas for how to use it, how to select it, and then how to mill it yourself to keep costs down. If you have ever, as I have, felt a bit intimidated by the idea of working with reclaimed wood, this is for you! Or if you just want to learn more and try new things, this is for you, too. I’ll start by going over some sources for reclaimed wood. In my next post I’ll get into how to select wood, and after that I’ll cover how to mill it yourself, and why this is a fantastic option that isn’t as scary as it sounds. Once we have covered that I want to introduce you to our next kind of big exciting project! Probably the most accessible reclaimed wood is pallet wood, a trend that has pretty well exploded and single-handedly taken over Pinterest. Pallets are great because they are everywhere. If you are itching to get your hands on one and give it a try start by looking for businesses that have them stacked around and talk to the owner. Chances are they won’t be surprised, and may be helpful in locating other sources, too. Another great source for reclaimed wood is old fencing or building material. I like to dig through scrap piles people are throwing out. Some great material comes just from letting friends know that I would be happy to take their junk wood. People love to see things made from something they considered garbage. My husband and I recently scored some scrap wood from a fence after spotting it on the side of the road in front of someone’s house. The lady was delighted to have it taken, and intrigued to hear how it would be put to use. Craigslist is another useful source for salvaged wood, though I have noticed that it becomes harder and harder to find as the popularity of reclaimed wood increases. And this wood slice art. Rebuilding centers such as Restore are another source of recycled wood. My small entry table was constructed from three 2x4s that I found at Restore for .25 each. If you are interested in venturing upon a treasure trove of wood that will sell you forever on working with reclaimed wood, visit a local lumber salvage business. Be forewarned, however, once hooked there is no turning back! Salvage mills have a gorgeous array of lumber taken from dismantled buildings such as houses and barns. Huge beams cut with mortise and tendons bear testament to craftsmanship that you just don’t find in modern building. Set a budget, because if you are at all like me walking into these places will make you want to hand over your credit card and get a bigger truck to haul it all. Now, there is one more source to mention before wrapping up, and it is a source for which, admittedly, I have zero experience. Lumber at salvage businesses is dimensioned, but non-milled in the sense that you have to sort through the boards for quality. Most likely it is also not kiln dried. There are places that sell milled, kiln-dried, carefully selected wood that, for good reason, costs a great deal more than the rougher variety found at salvage mills that may even have some of its inventory stacked outside. We will discuss this in greater depth in a later post. The reclaimed wood that graces many diy shows and magazine spreads comes from sources such as this last one, and is absolutely gorgeous. You probably noticed by now that my source list has increased in cost as it went along. If you have been at all interested in digging into a reclaimed wood project, note how many sources are actually free or very close to it. Thanks to the trend toward recycling and repurposing, reclaimed wood is more accessible than ever. If you are looking for a super simple starter project may I suggest creating a shelf such as this one? Or even an entire system? If you would like to start with a pallet project I have created a great round up of them over at my Pinterest page, here. Take a look and tune back in for part 2, where we will discuss the whys and the how’s of selecting reclaimed wood, which I promise will be more interesting than I just made it sound! I like the suggestion to find salvaged wood on Craigslist. My husband has been looking to purchase salvaged wood for a project. I am going to suggest he looks there. I have seen people get really lucky on Craigslist scores! Good luck! That’s a great tip! Free wood is a great thing!